Sony PS5 price - what will it be, and when will we know? The big question on everyone's lips is about the PS5 price: what will it be, how will it compare to previous generations, and what will you actually get? Following the recent reveal of first concrete details, we can start to speculate about what Sony's PS5 price will be, based on the claimed capabilities of the machine. We say 'start' because it's tough to really build an equivalent spec gaming PC right now, especially if you consider that PS5 (as PS4 does) will definitely use a bunch of custom and specialist parts. Following on from his article in Wired, author Peter Rubin has released a few unpublished details from his interview with PS5 architect Mark Cerny, speculating about the price of Sony's new console. You can see the full Tweet below, but the interesting part of the quote is that Cerny claims the suggested retail price will be "appealing to gamers in light of its advanced feature set". Which likely means it'll be more than normal console launch prices. To me, that suggests it'll be higher than the $399 launch of the PS4, and likely to be $599 (which the PS3 clocked in at). Sounds like a lot? Well, let's take a quick look at how much you might have to spend, next year, to build the equivalent gaming PC. But, ok, let's do a bit of maths based on really rough estimates, to see what the PS5 price would be to just create right now. The biggest expense on PS5 is likely to be two-fold: graphics processing, and that SSD storage. Let's look at the GPU first. Right now, you'd be looking at an RTX 2080 equivalent graphics card to handle ray tracing at any kind of decent frame rate and resolution, although we know that Radeon cards can now produce the same effect, and they're a little cheaper at consumer level. Even so, to produce ray tracing even at 4K (before we get to the 8K Sony has claimed via Wired) you need a powerful chip like a Radeon VII, or whatever the Navi equivalent will be inside the PS5. Rumors suggest that the next generation of Navi chip will have a dedicated ray tracing core, so let's just assume that's happening for now. Right now, for the GPU alone, you'd be looking at $800 for something that can handle 4K gaming at 30fps and medium-high settings. Given the strides in GPU development, factored against the inevitable drop in price, you'd maybe be looking at a Navi chip that could produce 30fps at 8K, and 60fps at 4K by around September 2020 (on medium-high-ish settings), if they can make something that small and that efficient. I'd expect the price of something in consumer PCs to be roughly the same, if a little less. It's silly math, really. Now, that SSD... Right now, if you go bargain hunting, you'll pay $350 for a 1TB NVMe SSD from the likes of Samsung. We're looking at the 970 Pro for reference. Sure, you can get cheaper, but Sony is claiming that the PS5's SSD will out perform all current PC SSDs, which is a bold claim. Let's assume it'll be 1TB (although, if you're looking to install 4K or 8K assets, you really need 2-4TB), and assume that the falling price of SSDs will offset the increased performance of PS5's innards, you'll be looking to pay $350 for the equivalent SSD in late 2020. So, already, that's a $1000+ build. Before you take other parts into account. We assume 32GB of RAM minimum, a Ryzen 7 equivalent CPU with 8 cores (which we know about), and all the cooling, power, wireless tech, and casing required to keep everything together... that's another $500-800 at least. Again, the math is so imprecise, but you'd likely be looking at a $1500-1800 equivalent PC. Now. Back in 2013 Extremetech built a gaming PC that was roughly equivalent to PS4 (which launched in 2013) for roughly the same price as it was at launch. Nice work, even if you factor the fact PS4 included several features like controllers that were extra. There's no doubt stuff like time, efficiency, and - crucially - mass production will decrease the cost of PS5's core components, but I seriously doubt you'd be able to build an equivalent PC in 2020 for the price Sony will have to retail PS5 at to make it viable. Worst case scenario, you'd look at $599 (famously, PS3's entry point), but realistically it's going to be $500 if it wants to at least compete with other devices like the next Xbox, current-gen PS4 Pro and Xbox One X, and Shadow PC and Stadia. But what does everyone else think? We reached out to a few of our trusted contacts – including games industry experts and insiders – to debunk, or lend credence to, some of the rumors and reports surrounding the PS5, and it's price. Although much about PS5 is speculation, we try to base our predictions on insight and historical precedence. The PS4 Pro, as it appears in 2019. Famously, when it launched on November 15, 2013, a first edition PS4 would have set you back $399. Had you purchased the console on day one, as one million people did in North America alone, and there was just one configuration being sold: a black parallelepiped-shaped box comprising 500GB of spinning hard drive storage. When the PS4 Pro touched down almost exactly three years later, Sony priced it, too, at $399. It was only after the introduction of the PS4 Pro that the vanilla PS4 price dropped to $299, in the form of the 1TB PS4 Slim. Given the lucrative success of the $399 PS4 and its professional grade counterpart, it would come as no surprise if Sony wanted to keep PS5's price similar. However, judging by Cerny's comments, that doesn't seem likely to be the case. Ambition seems to be outweighing financial prudence, and Sony clearly thinks it has built up the PlayStation brand enough to build a more advanced PS5 and demand more money for it. A few weeks ago we spoke with a mix of writers and other influential gaming trailblazers, and before the official reveal they assumed that $399 would stick. The optimist in me hopes it'll be the same as launch PS4, but AbleGamers charity COO Steve Spohn wishes it'd be less, which now seems vastly unlikely. "I would love to see PS5 come out around $250-$300," Spohn told me in a brief Twitter exchange. "While that range is still expensive for many people, it's in the birthday gift range. Low enough that a couple of friends can get together to help you be able to afford something you really want." When I asked him whether he thinks we'll see more than one PS5 model at launch, i.e., a "Pro" option, he added: "Companies always like to have the ability to bring something a little bit better for a decent up-sell. (iPhone, anybody?) We always want the best of everything, and they know that, so why wouldn't they give us the opportunity to keep spending money?" In truth, that all makes sense. Why wouldn't Sony give us an upgraded PS5 option at launch? For consumers, more choices means a greater inclination to buy. And since Sony is a business whose sole purpose is to generate revenue for stakeholders, more people buying the product is a win-win. PS5 Pro, in-hand, moneyed gamers emerge overjoyed. However, early adopters of the theoretical non-Pro PS5 model would presumably feel left out, and potentially threatened by the premature existence of a superior product. Or as Digital Trends writer Gabe Gurwin put it in a recent conversation, "I think it will be just one SKU. They don’t want customers to think they’re missing out by purchasing a brand new console. If they do a Pro launch again, it’ll be at least two years later." With the exception of Mr. Spohn, virtually everyone I asked about their PS5 price forecasts responded with the same figure: $400. While some of my peers suggested it'll be subsidized, therefore "free" with the purchase of an extensive PlayStation Plus and/or PlayStation Now subscription (like a phone contract), my convictions remain unshaken. Whether or not Google Stadia's subscription pricing will impact the cost of PS5 remains to be seen. If Sony is planning to go with a subscription model, it will need to match what Google is offering. But, more likely, PS5 will offer a standard home console price, with additional subs functionality, like the expansion of PS Now or PS Plus. Simply, that works for PS4 (and Xbox One) and there still seems to be demand for it. Sony has the infrastructure to offer games streaming, and can potentially offer both options - either in the same console or via different variants. I'm inclined to agree with Dragon Fantasy developer and famed figure skater doppleganger-by-name Adam Rippon, who says that: "Ultimately my hope is that the PS5 will be $400 at debut, but ray tracing hardware is expensive and I assume it will have it," Rippon said. "I don’t think it makes sense for either Sony or Microsoft to target mainstream affordable hardware at launch given their fan bases." Regular games industry analyst Michael Pachter went on record last year during his YouTube show The PachterFactor, to say that he doesn't "think next-gen consoles will be $500", which seems entirely sensible. However, he has been known to be wrong, and it's likely we'll see that $599 pricepoint. Honestly, there aren't many concrete details out there regarding the PS5 price. 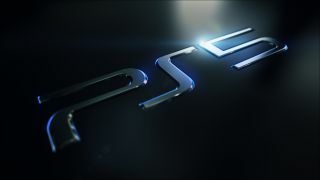 As of this writing, the much-anticipated successor to the PlayStation 4 has not yet been announced by Sony. That said, head honcho Kenichiro Yoshida did emphasize the necessity of "next-generation hardware" in an interview with the Financial Times last year. What's more, last May, Sony Interactive Entertainment CEO John Kodera said the "next step" for PlayStation would unravel over the next three years. That process has begun, and whatever the price, it sounds like PS5 will be a thrilling piece of hardware.